"And then there were FIVE." 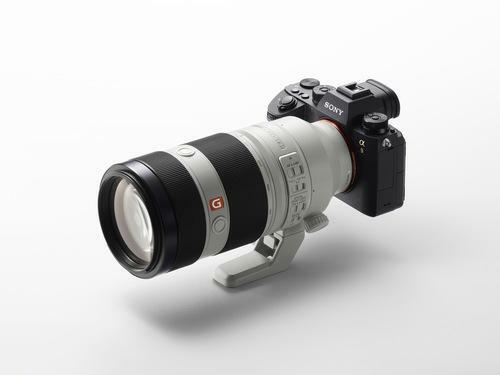 Sony Artisan Brian Smith rejoiced with the rest of Sony's Alpha Universe upon the announcement of the new Sony FE100-400mm F4.5-5.6 G Master lens. "Fast focus can be a challenge with long lenses on mirrorless cameras..." but Smith is quick to point out the two floating AF groups the new lens uses, a direct drive SSM and a double-linear motor, say that it provides "fast AF across the entire focal range. It focuses all the way down to 3.2ft/0.98m for 35x magnification at 400mmm - perfect for shooting tight portraits." A renowned portrait photographer, Smith should know. The Pulitzer Prize winner rounds out his first look at the lens saying, "...At roughly the size of a 70-200 F2.8 and weighing just 49 oz, it offers more reach that's perfect for shooting news, events, and travel..... when coupled with the Sony FE1.4x teleconverter it offers that reach without the focus issues that plague the long end of 150-600mm adapted superzooms." Read the rest of Brian Smith's notes on the newly announced addition to Sony's G Master series on his blog at briansmith.com.